An everyday necklace with a difference. A mix of 14 karat gold fill and sterling silver with simple and clean lines. Elegant and versatile. 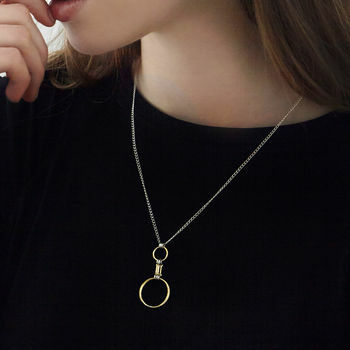 A subtle mix of gold and silver with a handcrafted circle and bar pendant. The chain is silver meaning it can be worn and mixed with all your favourite silver jewellery. Also with enough gold to compliment your gold days depending on your mood! A nice piece for those who want to experiment with mixing metals in an understated way. Delicate and refined. The chain is a 2.5 x 1.7 mm curb chain measuring 45cm. 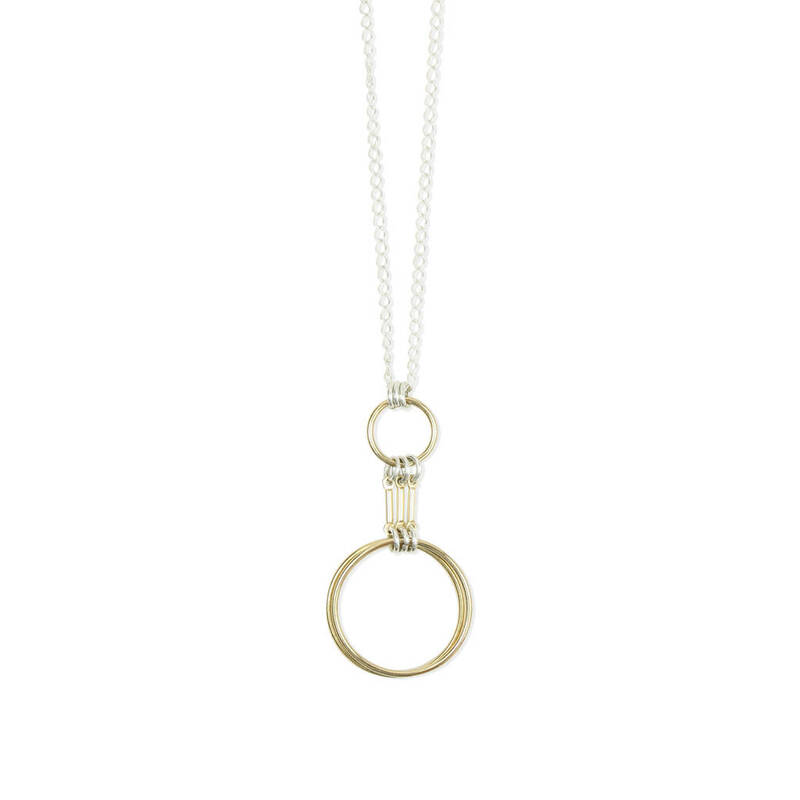 The pendant feature measures 10mm with 20mm circles. The links are created with gold filled bars and sterling silver 4mm circles. The design is finished with a 6mm ring clasp and a branded tag. This product is dispatched to you by Alison Fern Jewellery.